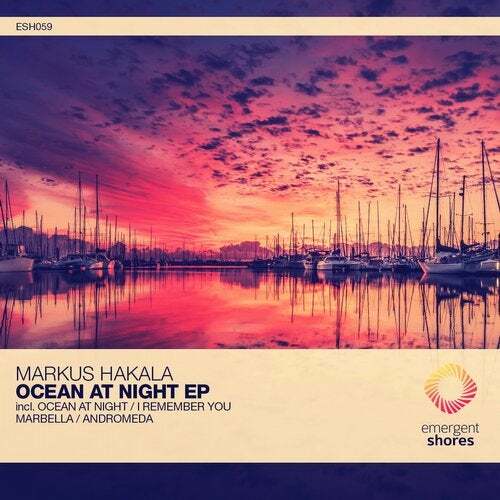 Helsinki based progressive guru Markus Hakala makes his return to Emergent Shores once more, this time bringing with him a well stocked 4 track EP titled 'Ocean At Night'. Having an undeniable track record for being a melody master in the progressive and trance genres, Markus takes us on a truly diverse outing with this new collection, delivering a thrillingly melodic experience. Kicking off with a true melodic progressive sound is 'Ocean At Night' and 'I Remember You', which both deliver gorgeous layers of melodic goodness from start to finish. The EP slowly winds itself down track by track, eventually going from the more stripped back 'Marbella', all the way down to the more ambient 'Andromeda', sealing off this collection perfectly. Proving himself to be a strong and respectable name on the Shores roster once more, this is Markus Hakala with the divergent new 'Ocean At Night EP'.